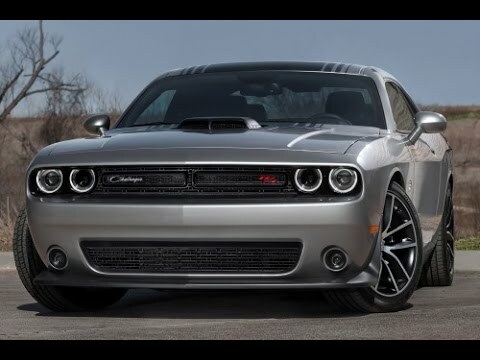 The 2015 Dodge Challenger seriously upgrades one of our favorite modern muscle cars. The refreshed exterior looks better than ever, and the new interior brings the Challenger into the modern age. But the biggest news is under the hood, thanks to the 2015 Challenger SRT Hellcat. With 707 horsepower, it's the most powerful American production car ever. Dodge challengers: the muscle in American muscle. The modern day Dodge challenger is an innovative of its ancestor. It has been redesigned for those with a passion for muscle cars. The updated sleek design is coupled with roaring horsepower & torque that gets adrenaline levels skyrocketing. Most of these remodeled coupes comes with a soothing leather package, unprecedented safety features, and even a desirable range of trim levels to meet the needs of daily drivers and "street freaks" or people obsessed with powerful engines. Although the challenger is much roomier than most 2-door cars, I highly recommend the possible purchasing of one, however, for the group of people with a very small load of passengers, items, etc to maximum comfort levels. My experience with Dodge challenger. The 2015 Dodge challenger has been a pretty great car for me so far. I bought it new off the lot. It was pretty expensive, and I am still paying on it, with pretty high payments. Cost aside, I haven't had too many problems. Just small things once in a while that the dealership will take care of free or at a very low cost. About a month ago though, my whole cars system just shut down. I had to get it towed to the dealership, and it sat there for a week because they didn't know how to fix it. They finally figured out the problem, and it is been fine ever since. I love my challenger. Dodge challenger is all in all amazing. It is smooth and the handling on this car is amazing. Rear view camera helps a lot for tight parking spaces and the side mirror alert helps when switching lanes and other cars are in your blind spots. The GPS on this car is pretty up to date and definitely helps a lot. Another amazing feature on this car is that you can connect your phone to it and do everything through the car through voice activated feature, that way you're not causing your eyes to be distracted from the road. If the instrument cluster becomes inoperative, it can increase the risk of a vehicle crash. Chrysler will notify owners, and dealers will install a software enhancement, free of charge. The recall began on December 15, 2014. Owners can contact Chrysler customer service at 1-800-853-1403. Chrysler's number for this recall is P74.